Nigeria international Osaze Odemwingie has hinted that he would be joining a new club in the coming week. Odemwingie has been inactive for close to six months but that notwithstanding he is confident he still has the ability to perform at the highest level. 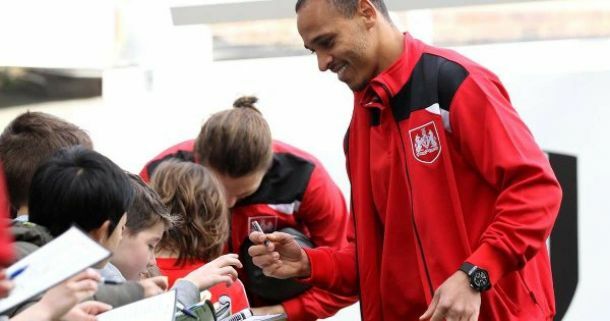 “It’s tough being a free agent but I’m in great shape and hopefully a move should happen this week,” Odemwingie told BBC Sport. The 35-year-old, who spent three months on loan at Championship club Bristol City last season, was released by Stoke City in the summer. Giving a self assessment of himself, Odemwingie insists that he is mentally and physically fit. “Mentally and physically I feel strong, when your body and heart is perfectly prepared then you wouldn’t lack the right motivation to succeed. “As you grow older it becomes tougher in football, you only need someone to believe in you and willing to take a chance. It is yet to be seen if Odemwingie who moved to England since 2010 when he pitched tent with West Bromwich Albion will stay or seek greener pastures to other Leagues.